For many people, Monday is a great day to CHASE your to do list. After the down time or chaos or yard work of the weekend, Monday is a chance to take a good look at the things that need to be done for the week and to get them done. Have you created a Monday To Do List yet? 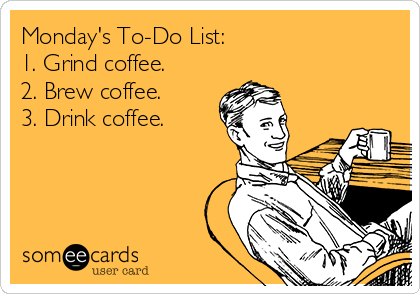 Here is a look at my Monday To Do List. Click image to view my list. Mondays are like a blank slate. You get to start fresh with renewed energy. Don’t let your long to do list intimidate you. Start with one task. Choose the tasks that you are the least enthusiastic about at your prime time of the day. I like to get my unappealing tasks done first thing in the morning. That is when I feel the best and the most motivated. Have you bought your 100 Days to Christmas 2014 eBook yet? Put that at the top of your list because, this year, you can only buy the eBook through Friday, September 19. Then it will no longer be available. Don’t miss out on a chance for daily tips, reminders, and activities to get you through the busy holiday season. Not to mention 31 lists and planning pages for 2014! Members to ListPlanIt will find the lists they need to CHASE their to do list each day of the week in Time Management. Not yet a member? Join today and get organized for the week(s) ahead! Subscribe to our blog. Get our posts delivered to your inbox.